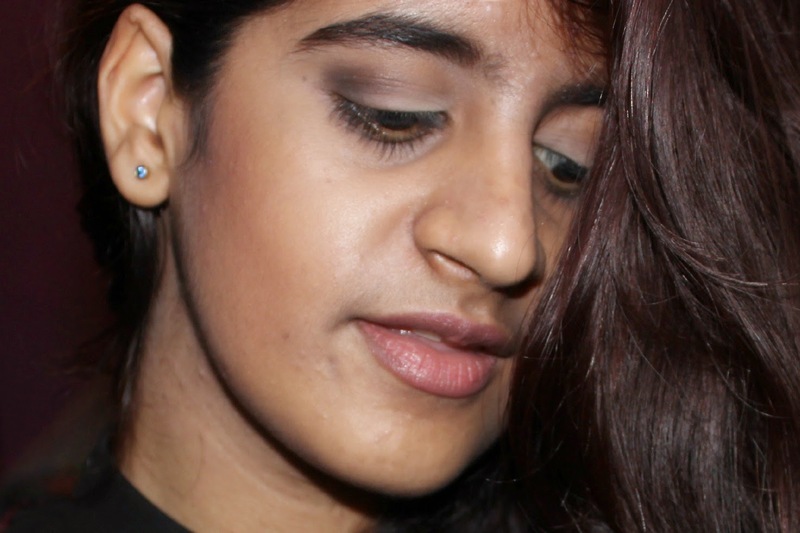 Hi lovelies, I'm back with a beauty post. So recently my mom bought me some Urban Decay goodies and you can only imagine how happy I am. I mean before this, the only high end makeup I've owned is a MAC highlighter. I am now a proud owner of a Naked Basics palette and the UD Primer Potion and I couldn't be happier with makeup. The title says this will be a "haul-ish" and by that I meant, well it is a haul but also kind of a first impression and a mini review I guess since I did my first makeup look with the palette a few days ago. I know you all might be thinking, SHOW US SOME SWATCHES WOMAN! And do not fear, I have a few! So let's begin with a nice reel of photos I carefully planned out and took all professional looking, just for you guys. Here is a general shot of the two products, in case you are unfamiliar with them. However if you are a makeup fanatic like myself, I'm sure you will be familiar with the products. 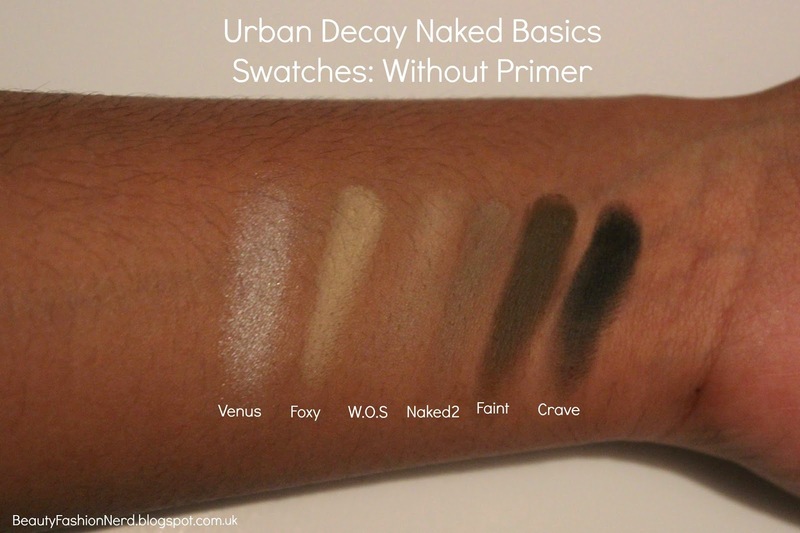 It is a small palette so it is easy to take along with you and it has all the basic colours you could need to create a range of looks from simplistic to smokey (my personal favourite). The palette itself has a sort of rose-gold coloured casing and it looks and feels gorgeous. Soft yet able to be cleaned if it gets dirty. Here is how the palette looks and as you can see, it comes with a nice big mirror which makes me happy as it is easier when I take it with me for touch ups. So the colours from left to right: Venus, Foxy, W.O.S, Naked 2, Faint and Crave. All are neutral colours, ranging from a shimmery highlight to satin and matte finish shadows. So I took some swatches and I tested them without any primer. I loved how smooth and buttery the shadows felt. And the colour pay off was perfect, even before priming. 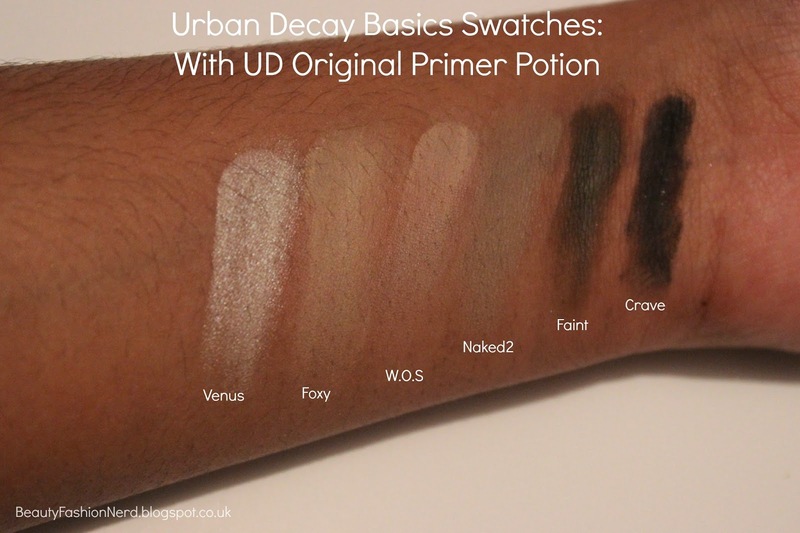 The picture above is once the area was primed with the UD Primer Potion. Although it is not much of a difference, the colours are still quite vibrant and strong. If I decided to keep the shadows on, I would have been able to test how long they hold up however I didn't but from other popular reviews, I knew the Primer Potion holds eye shadows up very well. 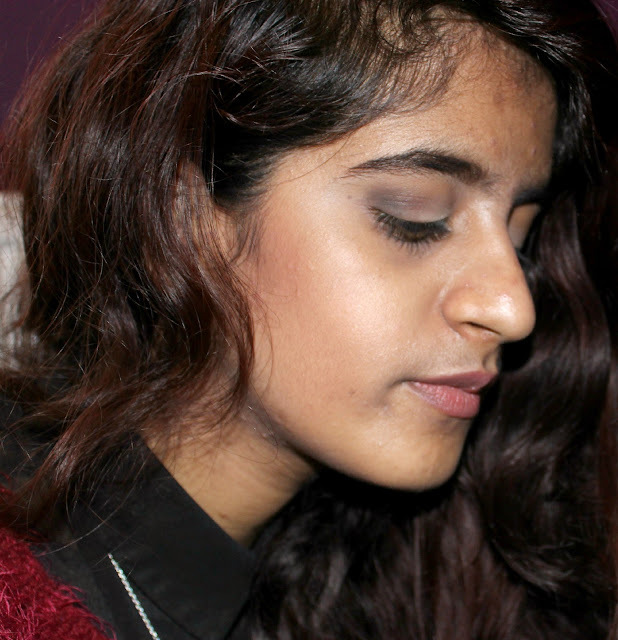 Now I did a makeup look with the eye shadows a few days ago. I used Foxy all over my lid and then used Faint and Crave in my crease. It is a pretty basic smokey eye but it is perfect for everyday. You can also add eyeliner however I decided to just stick to mascara. Below are a few pictures of the look. These pictures were taken after around 5-6 hours spent at college, so it shows how well the shadows held up. Although the colours were a lot more vivid in the morning, by the evening it was still very good as you can see in the pictures.